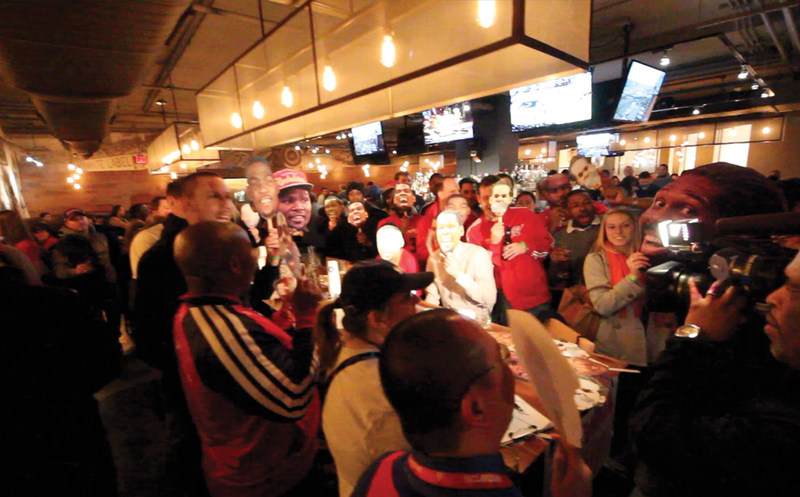 The Washington Wizards organization hosted an official fan bar crawl around Chinatown before the Wizards beat the Pelicans and the Wiz Happy Hour crew jumped aboard. 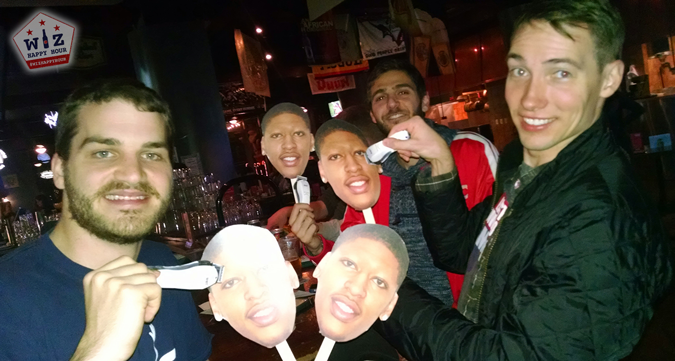 Aside from hitting up three different spots in the area (Lucky Strike, Penn Social, RFD) we came strong with Anthony Davis cutouts (sans unibrow) and cutouts of tiny razors so we could troll the Pelicans center by shaving his eyebrows (Photos). While the Wizards organization did a pretty awful job with their crawl, the Wiz Happy Hour crawl turned out to be a great time. The bar crawl started out at Lucky Strike, where you were supposed to check in and get a wristband to get you $3 bud light's at all bars. While this is not a special deal at most spots due to already ongoing happy hours, we still picked up our wristbands just in case. However upon arrival to the bar, we had no idea where to go. There were no signs, no Wizards employees in site, and it took asking 3 different bar employees before we found the Wizards wristband guy chilling invisibly on some random balcony. Um. Ok. He gave us our wristbands for free (was supposed to be $5) and we moved along. How do we get Gilbert Arenas to come to happy hour & watch a game with us? GO! 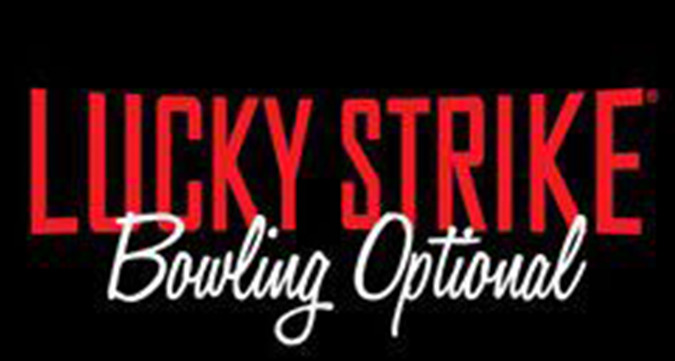 Lucky Strike is a place where many people probably avoid because they assume it is a bowling alley. However, the bar area is larger than the bowling area, and they have a pretty decent happy hour (weekdays until 7) that includes $3.50 Miller Lites, and $5 wine/rails/imports/shots. We grabbed a drink, but the place was dead, so we headed to our next destination, Penn Social. them. 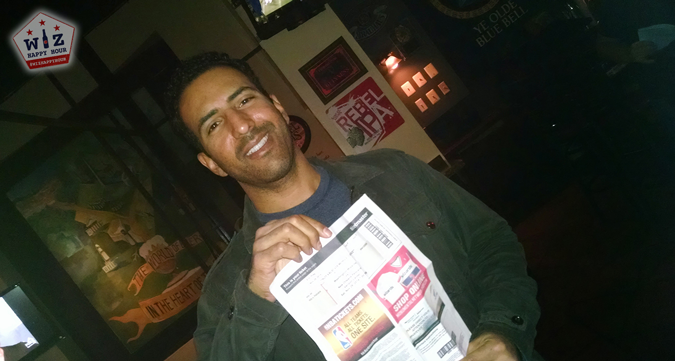 This is also where we gave away yet another free ticket to the game! 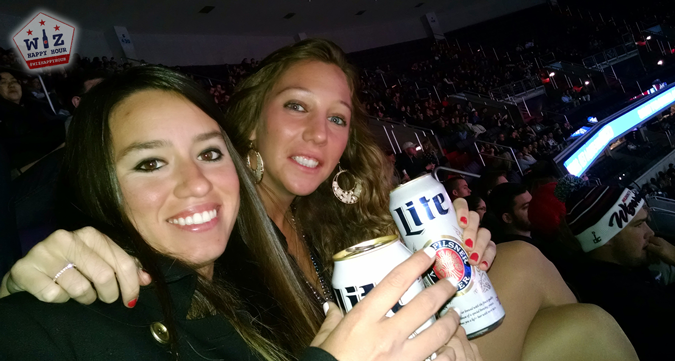 We grabbed a few drinks and waited to play the pop a shot basketball arcade game. We waited...and waited...and waited...and never got a chance. Screw This! It was on to our final destination, RFD. This was a return to RFD, the home of our first ever Wiz Happy Hour. The random happy hour specials were already over, and the beer selection was too big to just get a $3 bud light. Wristband officially wasted! At least we had a chance to take some photos trolling Anthony Davis as we shaved off his eyebrows with our fake razors. 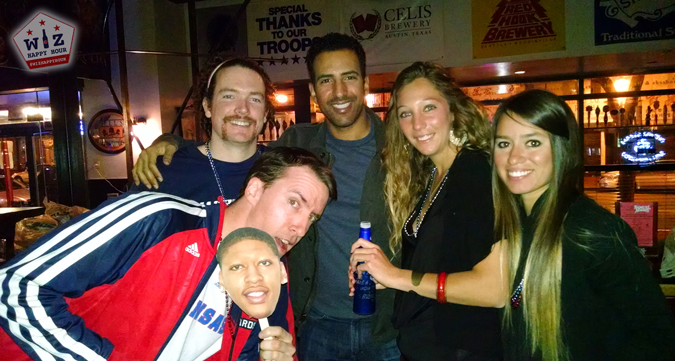 Overall we saw about 5 Wizards fans the entire night combined at the 3 different bar destinations. This was clearly a failure by the team. 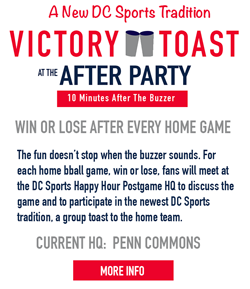 When the Wiz Happy Hour is bigger than the team's event, you know something is wrong. 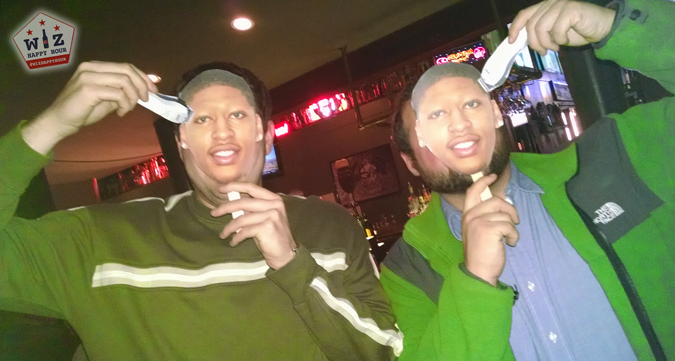 Oh well, we may try it again next time the Wizards do their next bar tour. Until then, see you out there & Go Wiz!